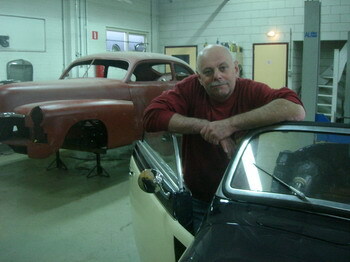 Welcome to the website of Benno Maathuis, restorer of vintage cars. Once a hobby, I made it my profession in 1985. I have tinkered with motorcycles, cars and engines for as long as I can remember. 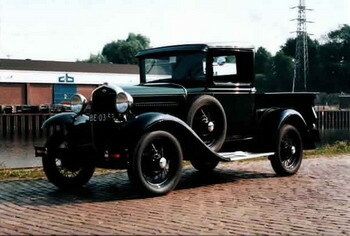 The first car I restored was the A-Ford in the picture. A personal hobby project, but after finishing it, various people asked me to restore their vintage cars. As the requests kept coming, I decided to take the risk and started out for myself. That’s over 25 years ago now, and I still love my work. Since 1985, I have completely or partially restored or built: various Beetles cabriolet, various Morris Minors, Jaguar XJ6, Jaguar E-Type, various BMWs, Mercedes 180, Mercedes 190 (bowler hat), Mercedes 220 SE coupe, Porsche 356, various Alfa Romeos, DAF (truck), Scania (trucks), various Peugeots, various Opels.